Hopa Casino is brought to you by a passionate team of employees who each have solid experience within the online casino industry. The casino has committed itself to providing the most extensive array of scratch card games on the net. It is owned by Aspire Global International and is licensed by both the governments of Malta and the United Kingdom. Founded in 2005, Hopa Casino features a huge choice of scratch cards, as well as plenty of slots and table games. Games are provided by industry software leaders including NetEnt and Amaya. The games are available in both pc and mobile formats. Hopa Casino currently doesn’t accept players who reside in the USA. As already mentioned, Hopa Casino places great emphasis on its scratch card selection. NeoGames provide the scratch based games, ranging from simple scratches to those reminiscent of slot machines. The most popular titles in this casino are Meet Max, Golden Island and Forces of Terra. NeoGames team up with NetEnt in supplying the slot games in the casino. These range from traditional three-reeled slots to modern five-reel bonus video slots, with the casino featuring popular titles, including, Starburst, Medusa and Gonzo’s Quest. There are other games offered, including Joker Poker and Jacks or Better as well as table games, however some of the table games are actually scratch cards in a unique table game format. Hopa Casino offers an instant-play service featuring leading software providers. Players can also find many of Hopa Casino’s most popular scratch games and slots on their mobile and tablet devices. These are accessible via all compatible mobile browsers. All of the mobile games are identical to the desktop versions, with the exception that they’re all played on a touch-based surface. Hopa offers new players a generous 100% deposit match offer and 100 free spins upon signing up. Following the bonus codes advertised on the website, players can then get more spins on their second and third day, and even win up to €200,000. Players can also join in in regular live tournaments in the casino. There’s also the opportunity to begin a rewards program on day 1, where players can collect points and get into the VIP section where they can exchange the points for rewards. The usual banking and payment options are available at Hopa Casino. Players can deposit money using Visa, MasterCard, Maestro, Skrill and NETELLER. 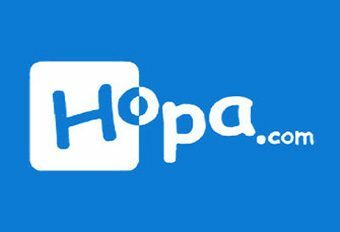 The whole Hopa Casino website is encrypted under an SSL encryption code, which protects players from having their personal information stolen. iTech Labs independently audit and check the games for fairness and the casino publishes their results and certificate on its website. Hopa Casino offers customer service that focuses on all players’ needs. There are a live chat and international phone line available from the hours of 7am through to midnight. Players can email the casino and expect a reply within 24 hours if they need to contact the casino outside of this time.